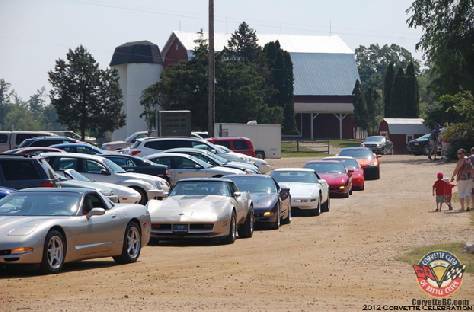 Take as active a part as you like in organizing our Corvette show, one of the largest Corvettes-only car shows in Michigan, going on our 24th year. Ready to take your Corvette ownership to the next level? Come to one of our meetings, the first Wednesday of every month! You’ll get to see and experience firsthand what we’re all about, with no pressure to join. Click to our Officers page to find our contact information, and we’ll save you a seat! Joining CCBC not only brings you joy and new friends, but you also gain membership to National Council of Corvette Clubs (NCCC). The NCCC is a non-profit organization of Corvette Clubs whose purpose is to promote interest in owning and driving the Corvette, giving information on how to get the best drives out out of them, and organizing the effort to encourage others to find joy in America’s true sportscar. They also formulate safety and competition rules for the approximately 300 clubs affiliated with them, providing uniformity and standards. The NCCC also publishes the magazine “Blue Bars” (members automatically get a free subscription! ), exclusive membership cards, a scholarship program for high school students, discounts to many national companies to buy things for your Corvette, and insurance coverage when participating in club activities.